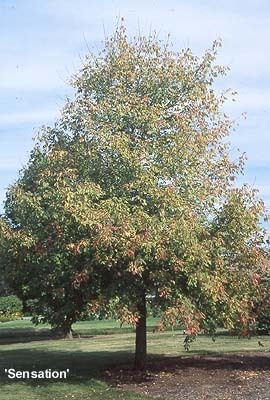 Deciduous tree, 45 ft (14 m) high, 30 ft (9 m) spread, slower growing than species type. A male clone, so it does not produce fruit clusters. Leaves turn red in fall. 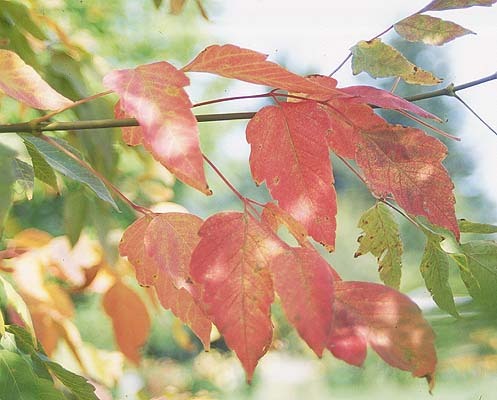 Hardy to USDA Zone 4 Warren Carnefix of Fruitland Nursery found the original tree growing near an abandoned homestead in Idaho.